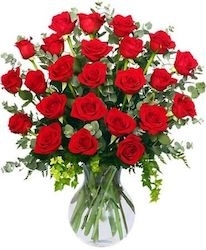 Charlotte, NC, February 10, 2018 --(PR.com)-- Flowers Plus in Charlotte is offering flower pickup for those who want to deliver Valentine arrangements in person to that special someone in their lives. With the central location in Uptown Charlotte, they understand that it can be an inconvenience to add parking in the city and waiting in line to the list of things that have to be done to prepare for the big day. This makes Valentine's Day easier for those last minute Valentine's arrangements as well as busy men and women who may not want to park and get out of the car for a small errand.